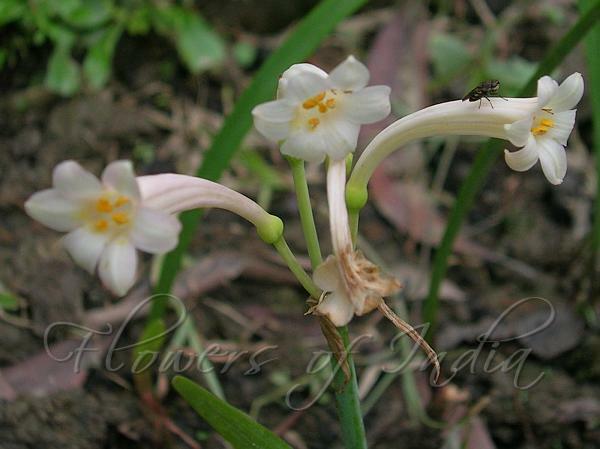 This charming, sweetly scented bulb is long-flowering and easy to cultivate. It belongs to the genus Cyrtanthus which contains many beautiful species. The flowers of Cyrtanthus mackenii are long and narrow with recurved tips, and the leaves are narrowly lance-shaped. This flower comes in several varieties, with varying color: white, yellow and pink. The flowers of all varieties are sweetly scented and pollinated by night-flying moths. Adult plants reach about 40 cm high in full flower, and the individual flowers measure up to 5 cm long. Ifafa lily has a very long flowering period, depending on the particular form being cultivated, extending from July to February. 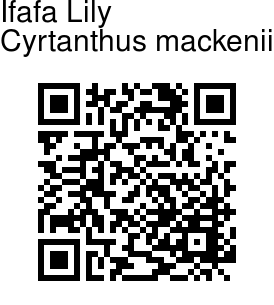 The genus name Cyrtanthus refers to the curved flower tube of many of the species and is derived from the Greek kyrtos meaning curved and anthos meaning flower. The species name mackenii honours Mark J. McKen, a pioneer collector in KwaZulu-Natal, who became the first curator of the Durban Botanic Garden in 1851. Identification credit: R.K. Nimai Singh Photographed in Imphal, Manipur & Shillong, Meghalaya.